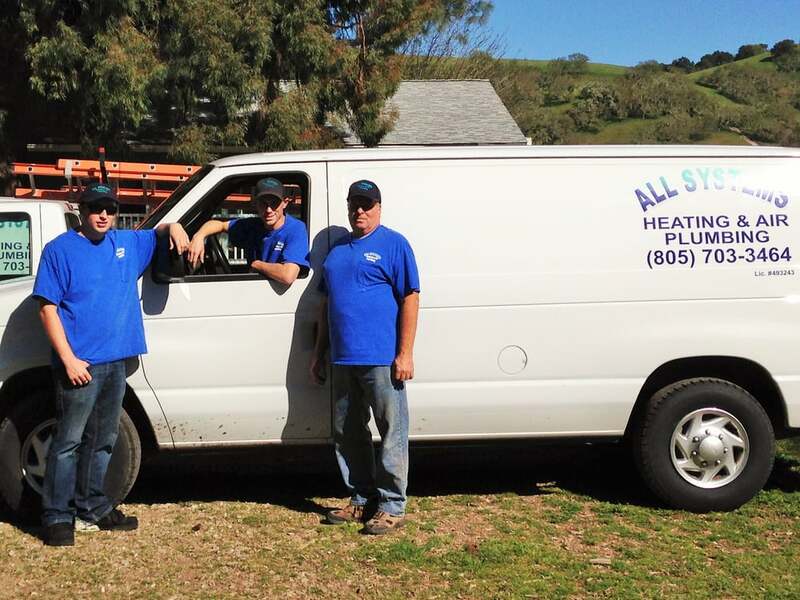 HVAC & Plumbing Services in Templeton, CA - 24/7 Emergency Service Available! All Systems Heating & Air has been in business for over 20 years and is a family owned business with two generations working side-by-side. With over 40 years of combined industry experience, they pride themselves on friendly, professional service. All Systems Heating & Air services all makes and models of heating and air conditioning systems, as well as your plumbing needs! We&apos;ve got a number of different options to help you with all of your air conditioning and heating needs. Clean your duct work to eliminate dust & allergens to improve your air quality. This month we&apos;ll give you 10% off of all of your plumbing needs when you mention this ad! We service the Central Coast from San Miguel to Santa Maria, Cambria to Shandon.